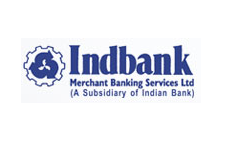 Indbank 15 Secretarial Officers and Dealers Job 30-07. The Indbank Merchant Banking Services Limited (Indbank), a subsidiary of Indian Bank, with headquarters in Chennai, engaged in Stock Broking, Depository Participant Activities, Distribution of Mutual Fund and other Investment products, Merchant Banking and Advisory Services is inviting applications from eligible candidates for filling up the posts of Secretarial Officer –Trainee ( Back Office Staff) and Dealer (Stock Broking) for the year 2018. Hello Gujarat and India Job Seekers Friend here is a opportunity for you to fulfill your Job dream. Recently, released Vacancies for given post. Here, we have mentioned the complete details regarding this Latest Notification. aspirants who are eagerly waiting for this Notifications can make utilize this opportunity. So, candidates must check your eligibility once to apply for this Jobs. As well, candidates must have to submit their Application Forms before the closing date. Read Carefully Official Advertisement Notification from his Official Website Before Apply and Stay Connect With Maru Gujarata (www.jobsGujarat.in) For New Latest Updates Recruitment Jobs. Also Read :- AAI - 908 Junior Executive & Manager Job at aai.aero 16-08. The candidates who are eligible for this Notification can apply through the official website. 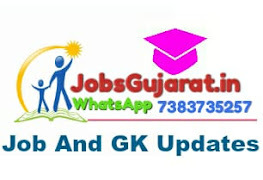 We Suggest You to OJAS Gujarat Jobs and More Gujarat and India Govt Jobs Prepration Candidate This is the right time to start your preparation for crack the Government Job. The candidates who are looking for this notification can start their preparation according to the previous Exam pattern and practice with previous year paper.